"This classic book covers many aspects of basic farm life, including gardening, food preparation, and buying land." "Through a British lens, this book covers the basics of homesteading and small farming for urbanites new to rural living." "This book covers the basics on raising chickens, ducks, geese, rabbits, goats, sheep, and cattle (both dairy and beef)." "An excellent introduction to keeping chickens for eggs, especially appropriate for the urban or suburban farmer." "The focus here is on a profit-making enterprise, but there's lots of great information for small farmers who don't want to bring products to market." "Great for farmers just getting started...a heavy emphasis on determining what you want from your farming life and planning your farm enterprise." "Focusing on cottage farming for enjoyment as well as profit, Lodgson's book serves as an antidote to "traditional" family farming on a large scale." "With the techniques and strategies outlined in this helpful book, you can extend your gardening season significantly, no matter how far north you live." "Directions in regard to stowing 100 different varieties of fruit and vegetables...no timely canning necessary." "Details how to save seeds for over 160 vegetables, including detailed information about each vegetable." This classic book covers many aspects of basic farm life, including gardening, food preparation, and buying land. In true encyclopedic fashion, you'll find information on keeping bees, culturing yogurt, baking bread, and artificially inseminating a turkey. If you had to get just one book on how to farm, this would be it. Through a British lens, this book covers the basics of homesteading and small farming for urbanites new to rural living. Topics covered include food from the garden, animals, the fields and the wild; in the dairy; in the kitchen; brewing and wine-making; energy and waste; crafts and skills. Similar to The Encyclopedia of Country Living, this book seeks to share information about many aspects of the homesteading/self-sufficient life. This book covers the basics on raising chickens, ducks, geese, rabbits, goats, sheep, and cattle (both dairy and beef). It's a great introduction to a variety of animals. For more in-depth information on a specific breed, the Storey Guide for that breed might be more useful. 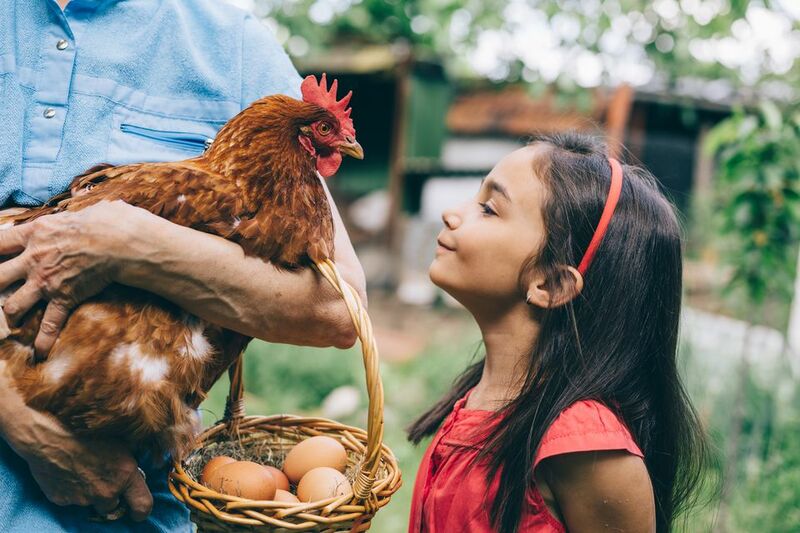 An excellent introduction to keeping chickens for eggs, especially appropriate for the urban or suburban farmer. Kilarski's writing is engaging and funny, but still chock-full of useful information. Feeding, coop and henhouse design, and egg collecting and washing are covered. Subtitled "The Entrepreneur's Guide to Start & Succeed in a Farming Enterprise," this book by the acclaimed owner of Polyface Farm in Virginia is just that. Salatin describes his own experience in this book, teaching by example and inspiring readers. The focus here is on a profit-making enterprise, but there's lots of great information for small farmers who don't want to bring products to market. There is a lot here that will challenge your ideas and assumptions about farming and agriculture. This book is great for farmers just getting started. With a heavy emphasis on determining what you want from your farming life and planning your farm enterprise, it helps small farmers build a strong foundation for their farm. It also covers choosing livestock, understanding housing, fencing and feeding needs, breeding, and market strategies. This book takes a grass-based, grazing approach to farming. Focusing on cottage farming for enjoyment as well as profit, Lodgson's book serves as an antidote to "traditional" family farming on a large scale. This book is inspirational while teaching some basics, and is an entertaining and worthwhile read for anyone getting started with a farming venture. Coleman asks, "Why stop gardening at the end of summer?" With the techniques and strategies outlined in this helpful book, you can extend your gardening season significantly, no matter how far north you live. Mike and Nancy Bubel's Root Cellaring: Natural Cold Storage of Fruits and Vegetables offers simple, step-by-step advice for properly stowing perishable produce. With directions in regard to stowing 100 different varieties of fruit and vegetables, backyard farmers will learn everything they need to devise their own root cellar — no timely canning necessary. Subtitled "Seed Saving and Growing Techniques for Vegetable Gardeners," this book details how to save seeds for over 160 vegetables, including detailed information about each vegetable. All techniques are thoroughly researched and tested. Seed to Seed is the quintessential reference book for learning how to save seeds from your garden.